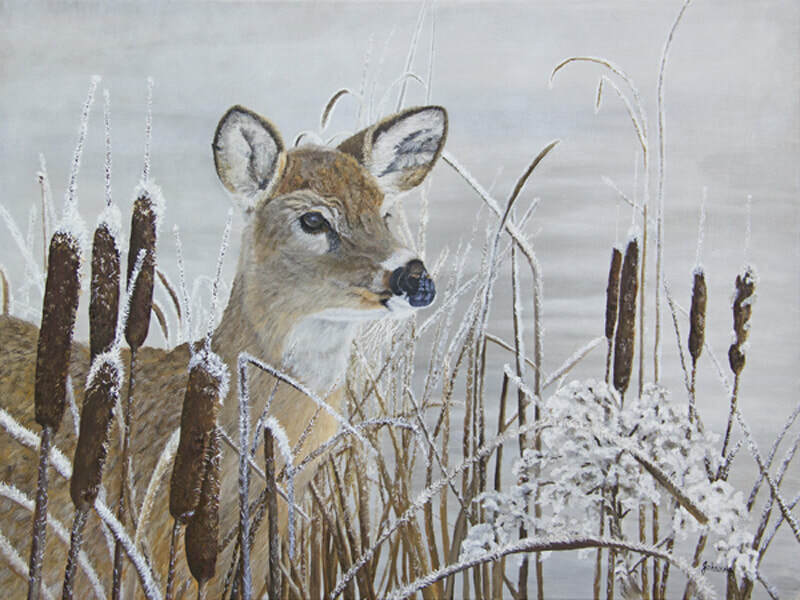 Giclee fine art paper and canvas prints from my original oil painting of a Whitetail doe. Something has caught her attention as she is walking among the cattails and marsh reeds on a cold morning by a partially frozen pond. Hoar frost blanketing the cattails, marsh grass and dried goldenrod.